Ripon Town Hall, where the customer centre has previously been located. Ripon Customer Centre will be shifted from the city's town hall to the community house site at Allhallowgate, senior councillors have decided. Services will operate from the new from June 1, 2019, after cabinet members voted in favour of the move at their March 27 meeting. Coun Mike Chambers, who represents the Ripon Spa ward, raised two points regarding the move: one of which was a concern about the provision of car parking near the new site, as well as its location off the street which "doesn't stand out". "The report says there is free parking and parking space, (which) is very much not the case," he said. 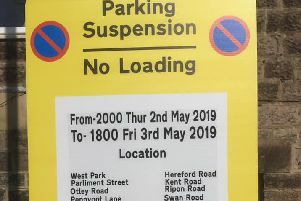 “Also, it says there is parking opposite if you can find a place to park but it is only for two hours (as opposed to three hours which is mentioned in the report)." “I would emphasise that for people who live in Ripon, community house doesn't stand out...you would need to make it absolutely clear to where it is." The council said the move to the community-run facility offered an opportunity to "use resources more efficiently, maintain service levels within the town, and help support a local community group". A review in 2018 resulted in staff levels being cut from 21.75 full time positions to 16.25 at the customer service centre. During the same period, an overall increase in customer contacts from 275,332 to 336,451 was experienced - with web and email enquiries rising from seven per cent of their total contacts in 2016/17 to 20 per cent in 2018/19.